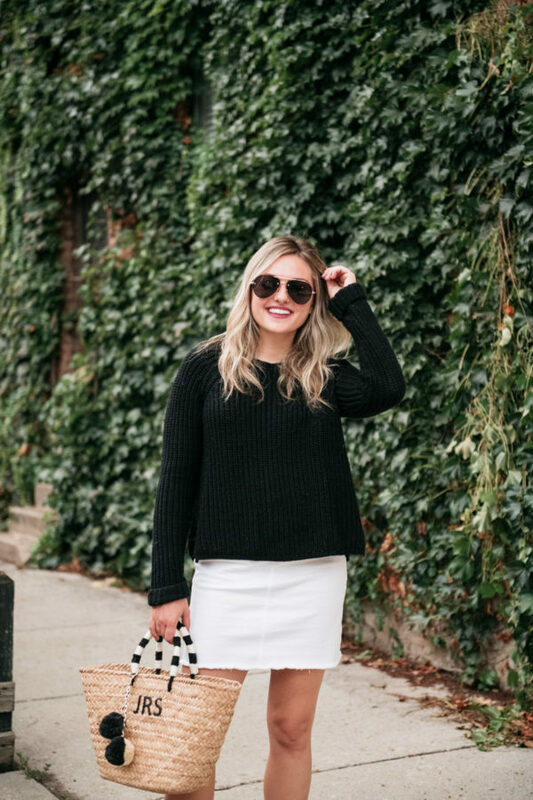 There’s nothing I love more than pairing a chunky sweater with shorts or a skirt. It’s the ultimate juxtaposition, especially in these wishy-washy months where the temperature goes back and forth from summer to fall. You know I live for a cozy, oversized sweater and I’ll take any excuse to extend bare leg season for as long as humanly possible. 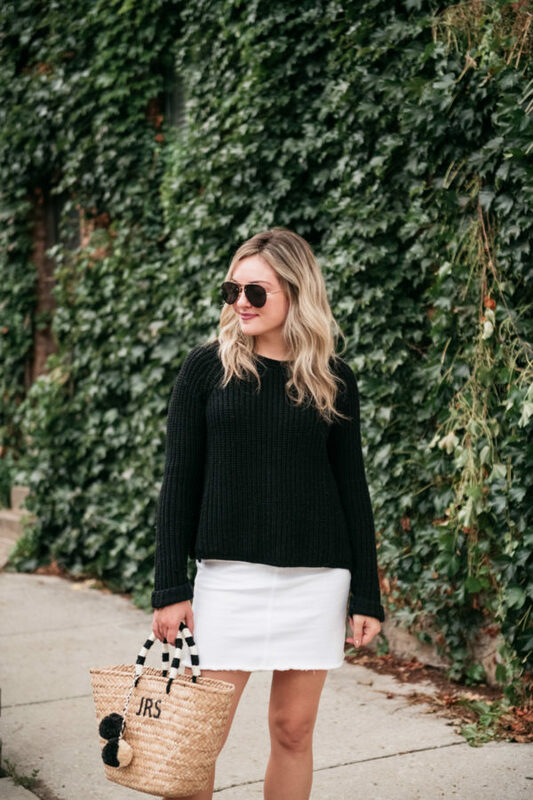 Keep it classic with black and white and you’ve got a fool-proof outfit that will work, no matter what season you’re dealing with that morning. I paired it with my go-to straw bag to keep things casual, but still matchy-matchy. I got this Kayu tote monogrammed on Moda Operandi a few years ago and it’s still one of my favorite things in my closet! What are some of your go-to outfits in this up-and-down weather where it’s chilly one day and hot the next?! I love the color blocking of this! So Chic! Loving your hair in these pictures. Oh my goodness, I love this black and white outfit. 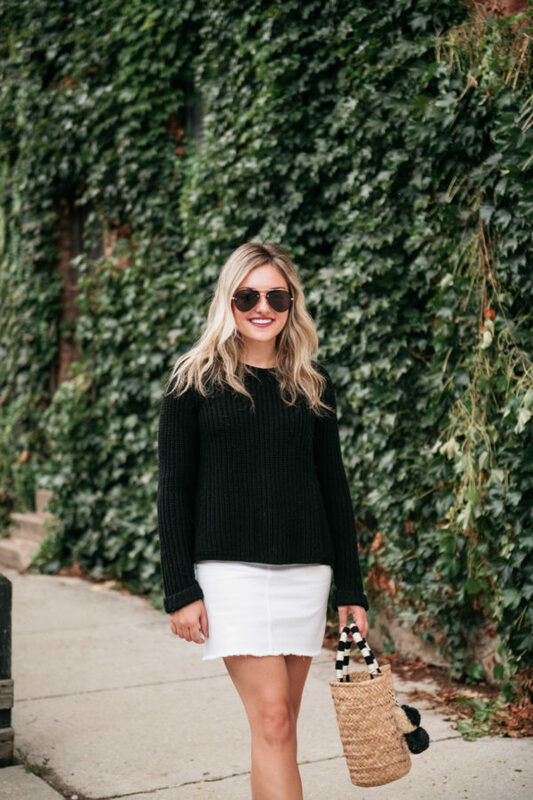 This sweater is so perfect for fall and winter!